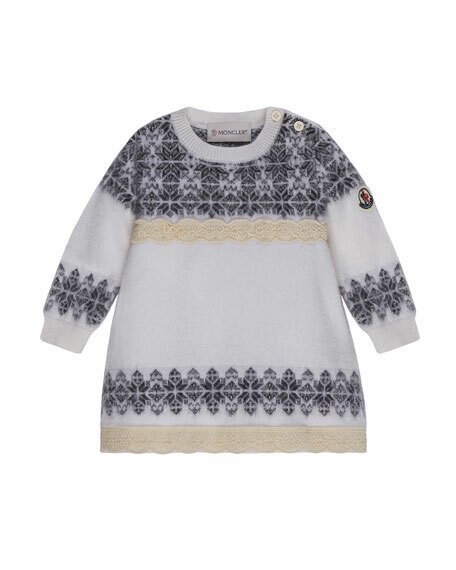 Moncler "Abito" tricot sweater dress. Crew neckline; button detail at left shoulder. Lace trim at chest and hem. For in-store inquiries, use sku #2335163.